Galveston Historical Foundation welcomes acclaimed singer-songwriter Matthew Ryan for an evening of live music and pop-ups from some of West Market’s favorite stops. Pop-ups include craft beer offerings from Galveston history, a specially curated cocktail menu from DTO Galveston, and food from Gypsyjont and Maceo’s Spice & Import. Ticket purchases go to Galveston Historical Foundation and contribute to future programming, preservation efforts, and much more. 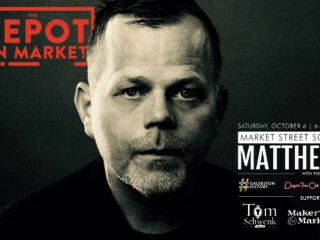 The Market Street Social is supported by Tom Schwenk, Realtor.